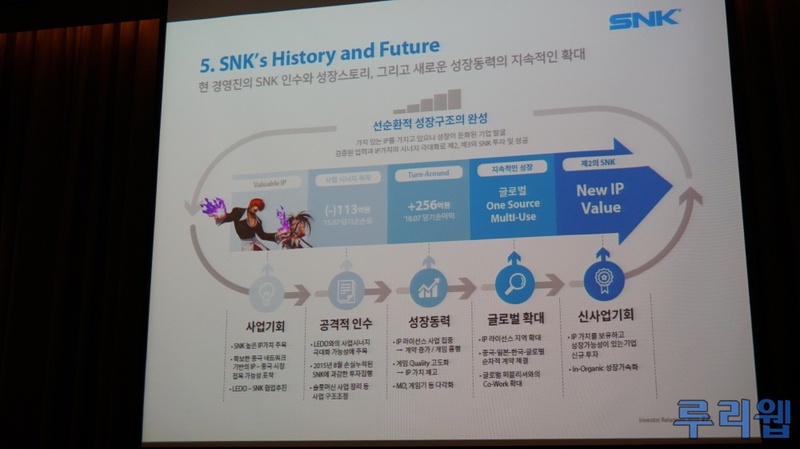 SNK Investor Relations 2019: New Metal Slug & new Neo Geo consoles? Hopefully SNK tweet something about it in English and add more info. Interested in how they'll do a new Metal Slug, budget game using old assets like usual, or full makeover with a 2.5D game. Down for either. SNK Heroines sold 300.000 copies? I like that they used the "real" Iori in this picture. Well it does have outstanding core values. Metal Slug feels so worn-out. I love the art, but the franchise has stagnated. Maybe they can freshen it up, though. New consoles would be... interesting. I wonder what "semi open" means. If it's digital libraries, no thanks. If they imitate the NGX and give me some 'Volumes', I'm definitely more interested. We will see how this turns out. Hopefully SNK can come back in the forefront. Seems to be the case @Bullet Club seeing Siliconera and other outlets ran with the news. A new Metal Slug sounds good. My PS4 have a bunch of SNK games. I just wish a new Metal Slug running at 60 fps. I'm down for new Metal Slug but I'm not so delusional to believe it will be a beautiful 2D masterpiece like the original games. More likely it will be a mid-budget 3D sidescroller. Interested in the idea of a console. I missed out on the Neo Geo X, which I guess wasn't such a bad move because they stopped supporting it soon after. Bring back those 240p sprites. Also it would be great to port to Neo Geo CD the games that were not released on the system, like MotW, Shock Troopers or Strikers 1945. I want to see some Neo Geo Pocket games ported to...something. Such a huge library of gems and most people don't even know the system ever existed.